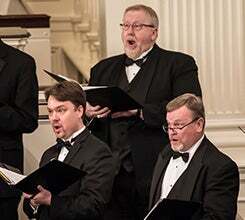 The 24 remarkable voices of the Herring Ensemble, the Upstate’s only professional vocal ensemble, will present a program of exquisite music that promises to be entertaining, thought-provoking, and uplifting. 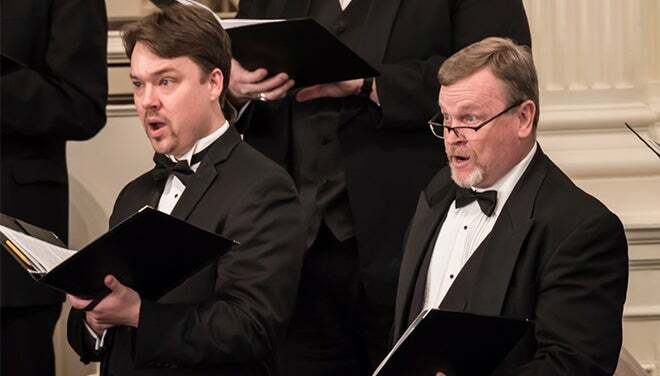 The program will feature works from contemporary composers, including Greenville’s own Dan Forrest as well as Eric Whitacre, Kim Arnesen, and Jake Runestad, along with the classic “Six Chansons” by Paul Hindemith. We will round out the program with humorous selections including “I got a hog and a pig” (John Wykoff), Swingle Singers’ setting of J.S.Bach’s “Canon”, and a vocal version of the “William Tell Overture” by Rossini.